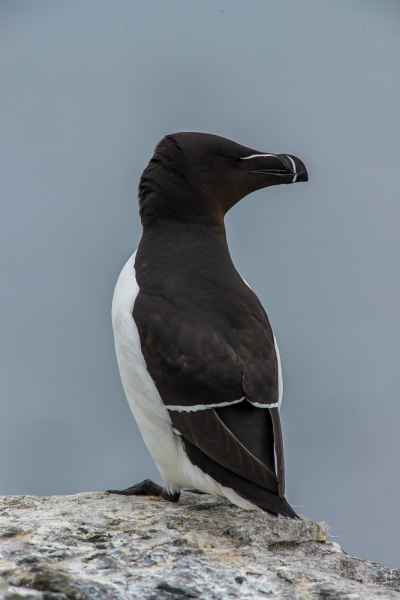 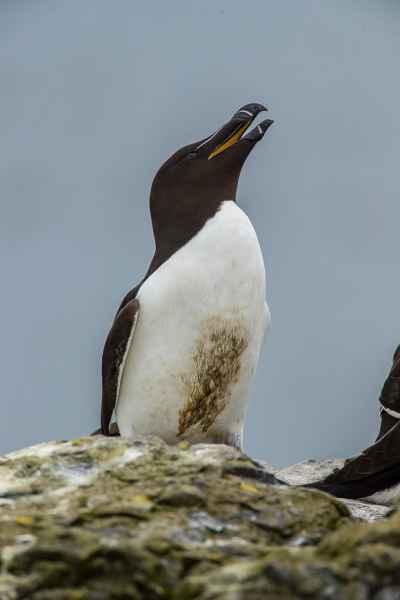 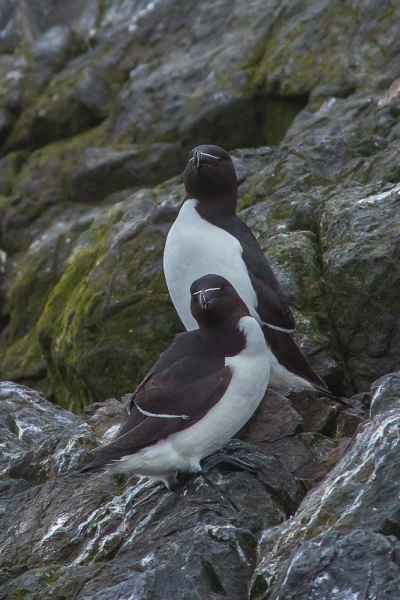 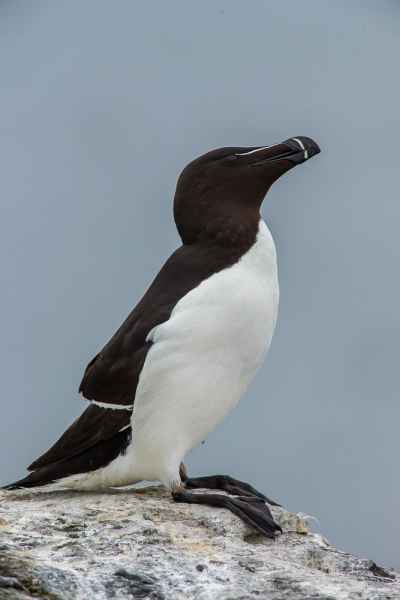 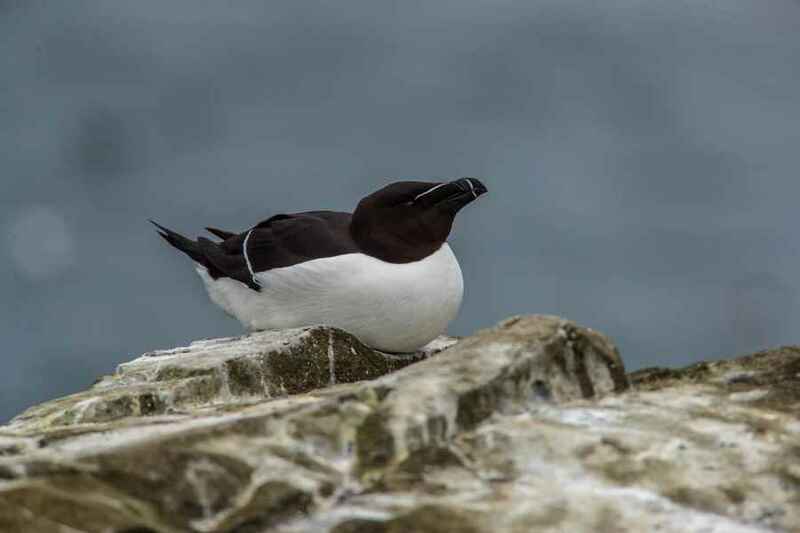 Razorbills are a strictly over-wintering species anywhere along the coast, superficially akin to a Guillemot but with a diagnostic white vertical stripe half-way along its short, blunt bill and another white line stretching from the base of its bill to the front of the eye. 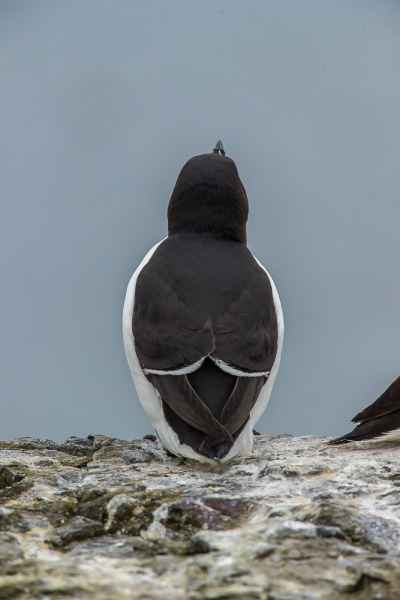 In winter plumage it shows a white ear. 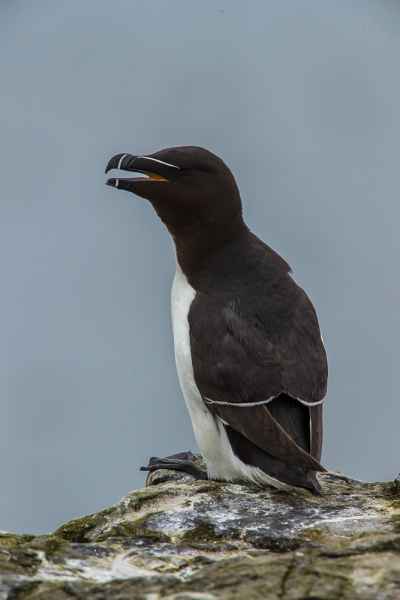 The pictures on this page were taken on a summer trip to the Farne Islands off the north-eastern coast of England.